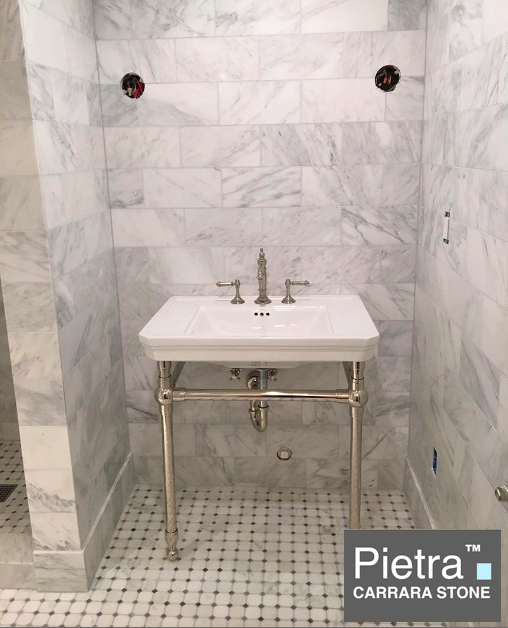 Pietra Carrara 6×12″ Honed Marble Tile $8.00 Sq.Ft. 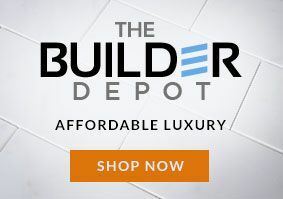 and also used the match Gray dot Octagon $10.95 a Sq.Ft. for the floor. The Pietra just has more activity and overall gray appearance. But it looks incredible I like the activity of the stone. It adds a bit more to it, more LIFE. Please note as with all professional installers they saved a lot on the product. As they ordered over 300/SF of the 6×12″ it shipped for Free along with the Octagon. They ordered 25% extra. They picked through the tile and laid it all out as a dry run, stepped back looked at it, rearranged pieces. These guys created a “picture” the perfect “picture” making sure none of the strong veining was grouped. That is how you do it and then you get a perfect look.